Residents are hopeful that they can return home today. One thing that could prevent this from happening: the fire escape, which building management said may have been "compromised" following the collapse. The evacuation is only for the 10 units in the back of the building. 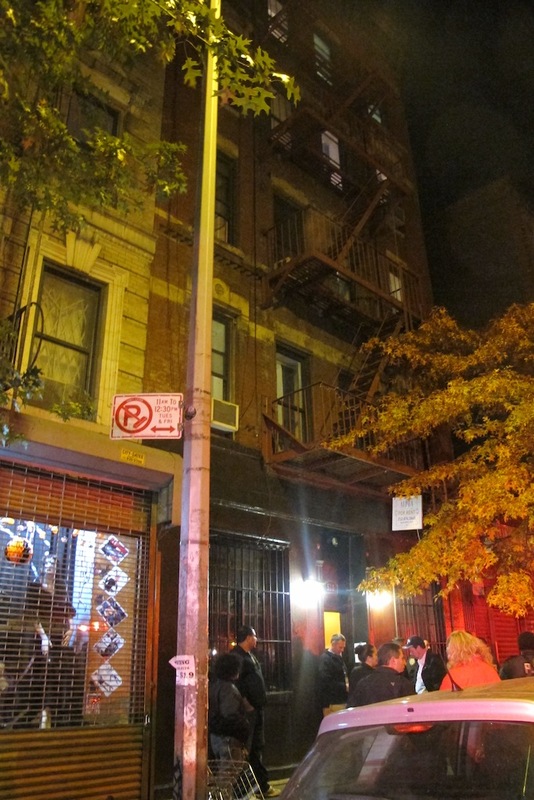 Those residents who live in apartments facing East 13th Street have been able to stay. We asked building resident Sarah Laskow a few questions via email about her experiences, when a quiet evening at home becomes an apartment full of firefighters. "I first thought a building had fallen down, maybe a few blocks away, and for a minute I thought it was another earthquake," Laskow said. "They were doing some work on the back of the building and I checked to see if the scaffolding had fallen. It was still up." A firefighter later pointed out the chimney from her fifth-floor window. The top portion of the chimney had fallen, though a portion of it still remained connected to the building. Oops. Actually, the bottom portion of the chimney had fallen out — not the top. Regardless, per the DOB, the residents in the back of the building needed to leave. The Red Cross was providing a place for any displaced residents to stay. "We had a chance to get our stuff together — they weren't rushing us out," she said. "But a bunch of firefighters were coming into our apartment, so we left pretty quickly." "It's disorienting not to be allowed to stay in our apartment, especially since the building itself seems OK at this point," Laskow said. 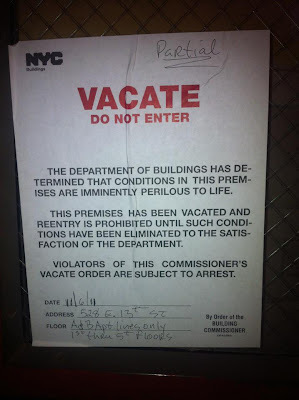 "But it's also somewhat reassuring that the city is making sure it's safe to return." How ironic to go to Table 12 after a chimney collapse. If you could hear their exhaust system, you wouldn't go near the place. God i'm there right now. Damn wheres my cable and internet!